Description: This application,"WeIRCd", is a chat server for creatine and other products. WeIRCd is a robust, simple & easy-to-use IRC daemon for both the Windows operating system and Unix systems (Linux, Bsd, Mac OS X) which is Open-Source and free to use. Description: AIM Sniffer is a handy network utility to capture and log AIM (AOL Instant Messenger) chat from computers within the same LAN. It supports not only messaging through AIM server but also direct connection messaging. All intercepted messages are well organized by AIM user with buddies and shown instantly on the main window. It provides rich-features report system to export captured AIM conversations as HTML files for later analyzing and reference. Description: All-in-one Voice Changer is an interesting audio application which can play prank calls online on your friends. When you are speaking with your friends through IM tools such as Skype, Yahoo Messenger or QQ International, it can change your voice pitch in a funny way during the call. You can also use it as a dubbing tool to dub funny videos in your way. Description: Multi Operator ASP Chat Script offers secure and fast connections between clients and support executives for conversation, chat, messaging and online conference. It provides complete business solution technical information product details to webmasters, client and site visitors along with many customizable options to fit with customer need. It helps to improve trust, approval and confidence of customers for sales etc. Description: Single Operator ASP Chat Script offers secure and fast connections between clients and support executives for conversation, chat, messaging and online conference. It provides complete business solution technical information product details to webmasters, client and site visitors along with many customizable options to fit with customer need. It helps to improve trust, approval and confidence of customers for sales etc. Description: AthTek Skype Recorder is widely used by many individual consumers and enterprises. It has been awarded as THE MOST NEEDED MATE FOR SKYPE. It concentrates on providing high-quality Skype recording services in both audio and video formats. It can record Skype calls automatically and save the recordings as MP3, WMA, OGG, FLAC and AVI formats. It is recommended by editors and will play an important role in Skype interview and parental control. 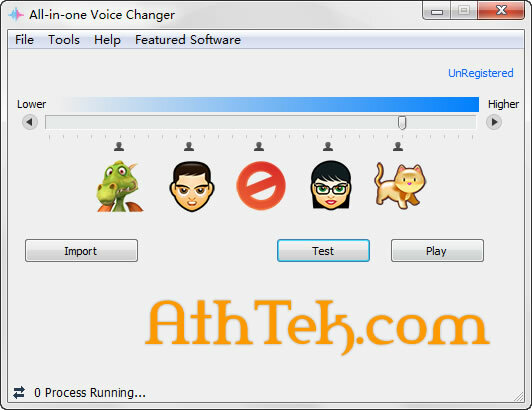 Description: This lite version is a simplified copy of AthTek Skype Recorder Pro. It has reduced some extended functions such as stealth mode, video recording and FTP Uploader. But it acts exactly as a quality Skype recorder for Windows user. 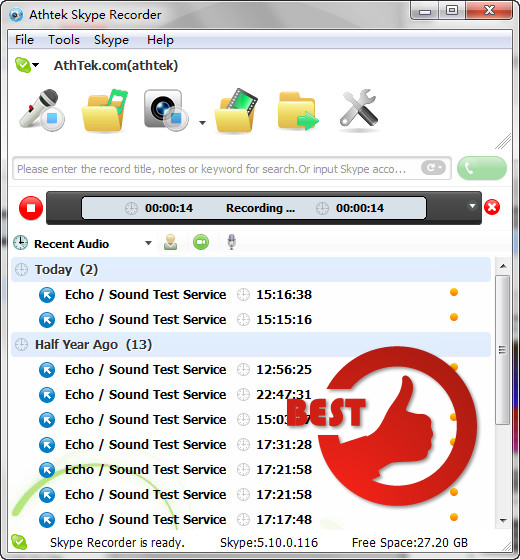 Once you have got through a Skype call, AthTek Skype Recorder Lite will automatically record the conversation and save it for future references. If it is a video conversation, only audio chat will be recorded. Description: Bopup Communication Server is a secure messaging suite designed to provide efficient and private communication over networks of any size. The server meets most of the critical business needs, such as centralized management, the Active Directory (LDAP) support, message logging, messaging groups, user permissions. It can be easily deployed over the business infrastructure to unite the entire company's offices into one internal IM workspace.